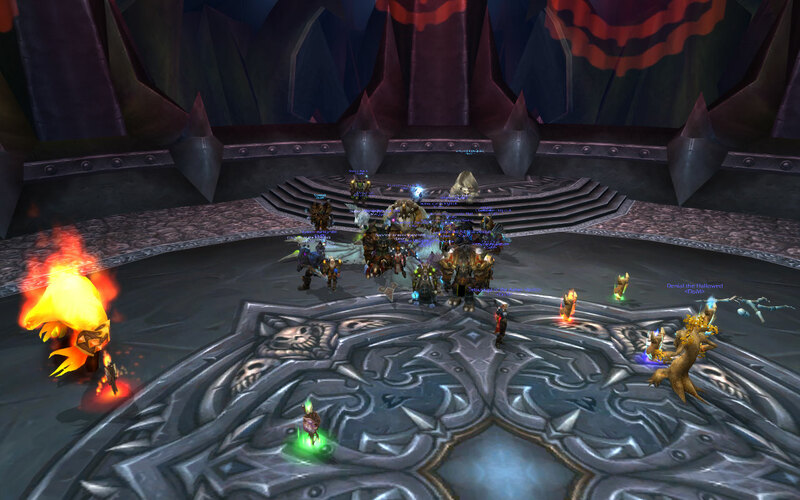 Blood Queen down in 25man - With only 24 people!!! 10-Man and 25-Man raids will share the same lockout. 10-Man and 25-Man raids difficulty will be as close as possible to each other. 10-Man and 25-Man raids will drop the exact same loot, but 25-man will drop a higher quantity of items. For the first few raid tiers, our plan is to provide multiple smaller raids. Instead of one raid with eleven bosses, you might have a five-boss raid as well as a six-boss raid. Great job on Dreamwalker last night. I forgot to Screenshot the kill... but we got the kill. We have increased the potency of the Strength of Wrynn and Hellscream’s Warsong buffs in Icecrown Citadel by an additional 5%. These buffs now increase total health, healing done and damage dealt by 10%. In addition, the number of attempts allotted for all final bosses on Heroic difficulty has been increased to 40.